This is my monthly Ipsy bag review! For those who don’t know what ipsy is, it’s a service that sends you 5 different makeup items (usually sample sizes) every month for only $10. You don’t get to pick your products, however, you do fill out a quiz and rate products in order for ipsy to better match your products to you as an individual. It comes in shiny purple/pink packaging which I love, then you open it up and there’s this cute little card every month talking about the bag. This month’s bag was “much love” for Valentine’s day. The bag was denim with a orange zipper. I don’t like the bag this month and due to Ipsy sending me a new one every month I have so many bags that I don’t even know what to do with them so I threw this one away. This brush is incredibly soft. It is a nice brush for highlighting or adding a light blush. However, if you’re looking for something to give a lot of coverage this wouldn’t be the brush. Overall it’s a high quality brush and the fact that it’s pink just makes it better in my opinion. 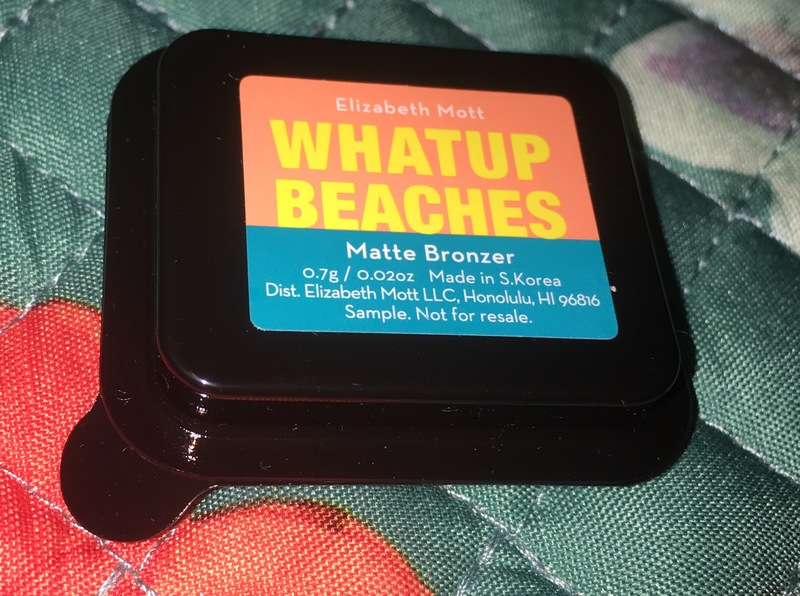 Not to be dramatic but this bronzer gives me life. I wish the sample wasn’t so awkward and tiny but I’ve been trying to find a truly matte bronzer that works with paler skin for a while now and I’ve officially found it. I’m just gonna come out and say this. I’m a matte lip/ liquid lipstick type of girl. This lipstick is a little satiny-borderline chapstick for my likings. 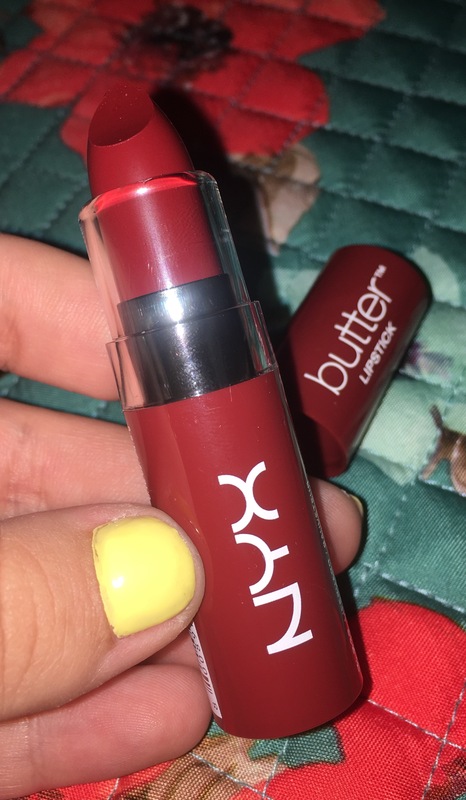 The color is really pretty and it doesn’t dry your lips the way a lot of lipsticks do. It’s definitely a personal preference thing so if your into a wetter finish, check this out. This stuff is crazy, I mean like crazy amazing. 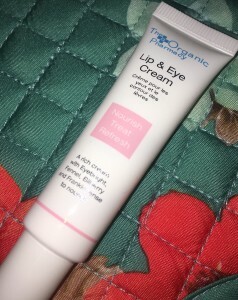 I put it on 2 days ago and the skin under my eyes is still firmer, more moisturized and less puffy. I tried it on my lips and didn’t really notice anything but I don’t have any fine lines or problem areas around my mouth. Overall this is a really nice product and this alone was worth my $10 this month, however I don’t think I’d be willing to fork over the $48 for another tube. 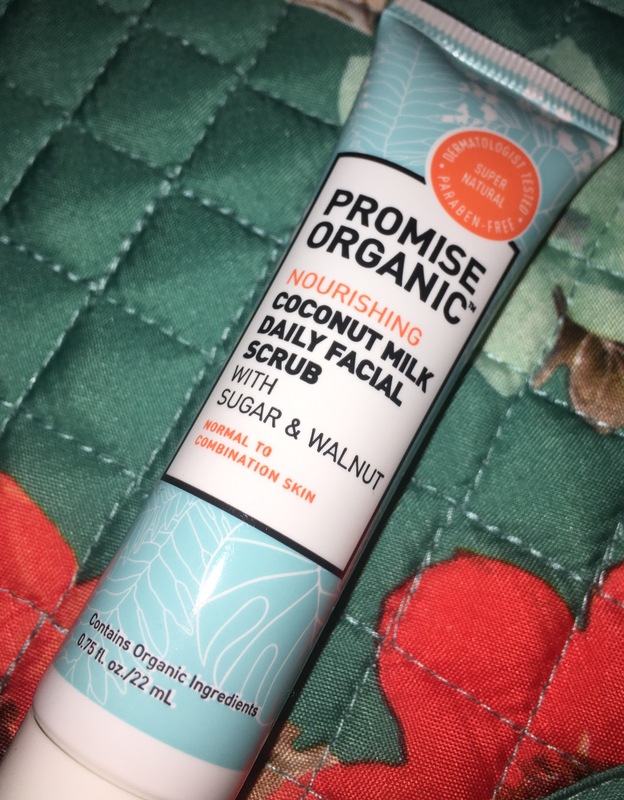 This is a nourishing coconut milk daily facial scrub, Ipsy’s link to the product is not working but it looks as though it’s a regular drug store product. This is nothing fancy by any means, just your typical exfoliant scrub. And that concludes my Ipsy Glam Bag this month, overall I was super impressed and as usual I felt like I got way more than my $10 worth of products. 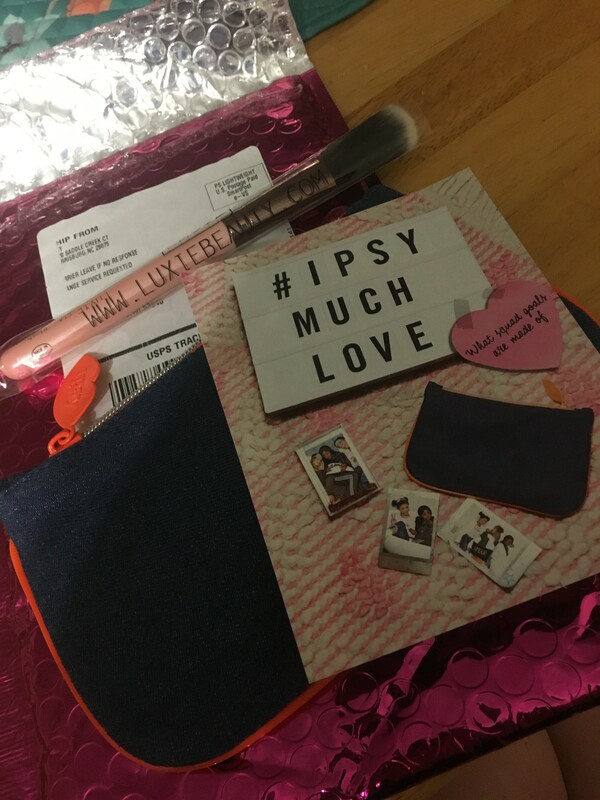 This entry was posted in Makeup, Monthly Ipsy Bag and tagged brushes, glam bag, ipsy, lipstick, luxie, nyx, skincare. Bookmark the permalink. Thank you for this review! I’m definitely going to sign up for ipsy right now!! 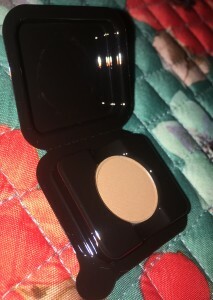 I love makeup!